Token is developing the architecture, protocols, paradigms, and secure identity system for next generation payments. Our first product, ChangeTip, integrates payment processing with social media, Bitcoin, and the web at large to transform the idea of a “like” into a method of financial appreciation. Factom is a system for securing millions of realtime records in the blockchain with a single hash. This gives you the tools to build applications with all of the security of the blockchain without the speed, cost, or size limitations. Stellar.org connects people to low-cost financial services to fight poverty and develop individual potential. CreditSesame is a new free online tool that easily gives you the best way to save money on your mortgage and loans by unlocking your credit po- tential. Trulioo is a leading global identity and business verification company that provides secure access to traditional and alternative data sources worldwide to instantly verify consumers and businesses online. 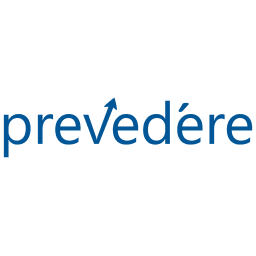 Prevedére has produced a one-of-a-kind “External Data Analytics” product that fills a gap in the business intelligence, predictive analytics, and external data provider markets. Current business intelligence and predictive analytics software does not adequately address external data. Our software will not only allow the user to identify external business drivers, but will automate the collection, forecast financial results and interface with any existing financial budgeting program. Prevedére software along with its Software as a Service (SaaS) delivery model is intuitive and full featured, and has gotten rave review in conferences and from their customers. 37coins provides a multi-sig Bitcoin wallet and risk management services for our partners, such as bit- coin markets. TrueAccord uses behavioral analytics and human creativity to get late and delinquent customers to pay up, recover and come back to being paying customers. RevolutionCredit's engagement platform and database of consumer behavioral economic data transforms the credit decisioning process for both lenders and consumers. We are working on solutions to iden- tify and prevent security threats inside enterprise networks. 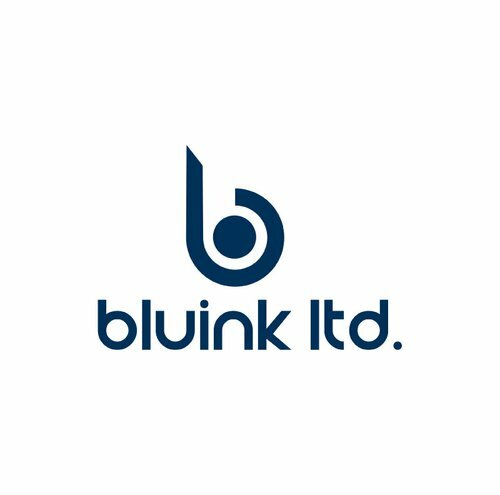 Bluink Ltd. specializes in identity and access management for consumers and enterprises, using your smartphone as a strong authenticator and secure identity store. CipherCloud’s technology protects sen- sitive information in real time, before it is sent to the cloud, while preserving application usability and func- tionality. 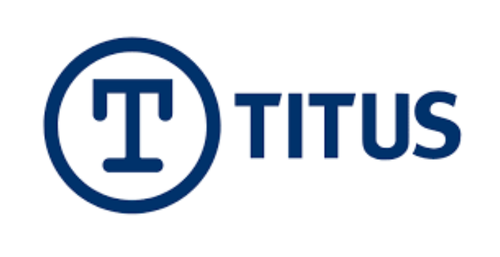 TITUS' user-driven security solutions provide several critical components for an effective data gover- nance strategy. Rippleshot detects data breaches faster, allowing card issuers, processors and merchants to pro- actively monitor suspicious activities and implement smarter fraud risk management strategies when breach- es occur. 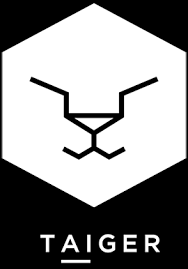 BiddRocket is a behavioral science company that studies how groups of people make decisions. BehavioSec has created the new model for strong, multilayered customer security. Now you can can stop fraud, prevent attacks, and verify your customers — all without slowing them down. CapLinked makes it faster, safer, and easier to manage business transactions in the cloud. CapLinked’s secure platform provides companies with easy-to-use tools for capital raises, asset sales, mergers & acquisitions, real estate deals, investor & board reporting, business development negotiations, and other types of complex business transactions. The Domus Network uses existing Straight Through Processing infrastructure with a proprietary pre-clearing process to securely deliver Real Time Gross Settlement across correspondence accounts between our network of partner custodians and Prime Brokers. We work with our global partners, banks, mobile operators, financial institutions, payment providers and remittance companies to socialize their payment services. By integrating into our open API, companies can leverage our technology to offer their users a richer, social payments experience. 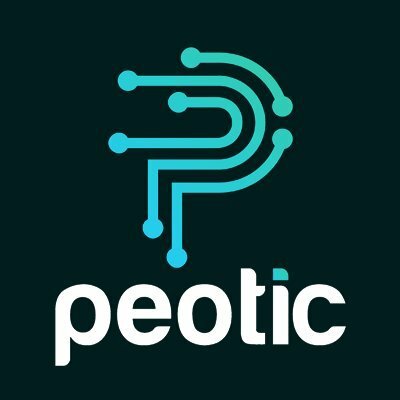 Peotic empowers personalization of banking and commerce from end-to-end and building a personalized world at every touch point . Peotic brings a full view of how, where, and when the shopper is interacting be it online or offline. PlentyFi keep-it-all crowdfunding platform for your saving needs. You can create a savings goal and share your campaign with friends, relatives and anyone else who would like to contribute to your cause. Sedicii’s patented zero knowledge proof authentication service to solve some real world security challenges such as authenticating people to websites, call centres (inbound and outbound calling, social media monitoring) and authorising secure card payments. Abaris is the platform for personal pensions, a simple low-fee product that helps Americans get a automated lifelong paycheck for retirement. DRAFT is a new online portfolio management company that redefines how average investors access and allocate their investment accounts. Using aggregation and crowd sourced tech DRAFT provides investors the education and assurances they want. Not just an organizer or bill-payer, MoneyStream brings everything together in one secure place—and then shows you a future view of your money so you can see at a glance where you stand and where you're going. FitPay offers an entirely new way for transacting payments using any wearable device. It frees consumers from having to carry cash, credit cards or a smartphone by allowing their identity to be authenticated with their unique biometric pattern. Dwolla allows you to exchange funds through social networks, merchants, or anyone else at a max cost of 25 cents per transaction. The platform can be built into any 2 way communication device and integrated on the backend of any software. Stratos Inc., is the creator of the Bluetooth Connected CardTM Platform. Stratos card combines all plastic cards into a single card, empowering people to make better, more informed decisions while simplifying transactions through a secure, familiar format. 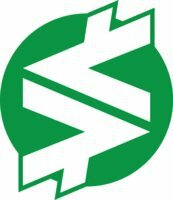 SNAPCARD offers a suite of products and services which are designed to make it easy for the average consumer or business to use Bitcoin and alternative decentralized digital currencies. The focus is to help bring liquidity to the digital currency community. Bento is a financial services platform built for small businesses. The Bento platform helps small businesses better manage and control expenses, raise capital easily. Lendsnap streamlines significant consumer transactions by linking borrower financial and employment data to provide instant qualifying documentation. For correspondent lenders and banks, it automates the sales team job that takes 20-40% of their time. Manifold is developing cryptographic technology to enable trusted transactions, automatically address complex compliance problems, and provide unique analytical insights. 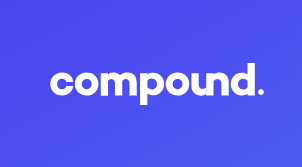 Chromaway is building services which will enable wide-scale use of colored coins: fast and reliable trading, intelligent order matching, instant confirmations. ArmorVoxTM Speaker Identity System is a voice driven security solution. Auraya Systems, its developer, is a globally recognized expert on voice authentication. The voice biometrics software and services are delivered worldwide. 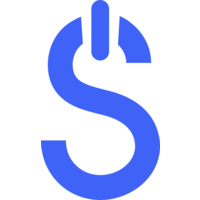 Sweep is your automated personal financial assistant. We help you save in advance so that you can spend your money confidently and finally get ahead. Swave helps with saving for a house deposit or a pair of shoes. The personal saving app provides real-time, actionable steps direct to your phone to help you achieve your goal. It works with your spending behaviors to help you save. Simple Disability Insurance is developing an end-to-end technology platform that solves the most critical systemic challenges facing the disability insurance industry by integrating our proprietary product, to marketing to sales all in our end to end solution. Abra merges money transfer, payments and via a single digital cash wallet that works ubiquitously anywhere in the world. Mobile Aggregator for private investments simplifying the investors search for the best deals. Helps individual financial traders build automated trading systems using deep learning, to expand platform to be an algo-trading marketplace eventually. BlockNotary Video Interview is a blockchain-based KYC solution designed to help businesses reduce costs and risks by providing trustful and pleasant customer experience. CRiskco is a revolutionary credit risk community that helps companies analyze and manage their credit risks using big data and cloud-based technology. CyberFlow Analytics is the leader in network behavior analytics and provides a software only solution that enables customers and MSSPs to secure Enterprise networks and the expanded Internet of Things (IoT). Data Simply turns company SEC filings into signals, by machine-reading them like a financial analyst, so investment professionals can save time, reduce risk, and make better decisions. DoubleNet Pay provides the next level of digital integration to support the automated management of bills and savings. Drastin offers search-driven advanced data analysis for enterprises, with the convenience of a google-like search box and English queries. eThor is a universal API for in-store point of sale (POS) systems. Payso is a 100% white-labelled mobile peer-to-peer payments + instant messaging platform for banks, credit unions and phone carriers (think Venmo as OEM software). Places offers a streamlined community-driven marketplace for people to list, explore, and buy homes online. Risys uses Machine Learning and Big Data to cut KYC and AML Analyst Time in Half! Skuchain has built patent-pending solutions using blockchain technology for supply chain and trade financing. Skymind is an artificial intelligence company supporting the open-source framework Deeplearning4j, the most widely used deep learning framework for Java. It is the Cloudera of AI. SmartFi is the first robo-advisor for savings that grows your money by automatically finding and allocating your savings to the best financial product for your saving goals. SnapCheck’s digital check platform combines the benefits of electronic payments with the universal acceptance of checks to substantially reduce costs, virtually eliminate check fraud, and solve the chicken- and-egg problem that is hindering the migration to electronic payments between businesses. Socure applies machine-learning techniques with biometrics and trusted online/offline data intelligence from email, phone, IP, social media and the broader Internet to power next-generation multi-factor authentication in real-time. Titan File is the easiest and most comprehensive platform for professionals to correspond and share files in total security. WiActs offers the next generation of identity management and passwordless single sign-on solution designed around biometrics and frictionless multi-factor authentication. Redrock Biometrics develops PalmID--the first practical touchless palm print authentication solution. PalmID is a perfect solution for IoT. It is 400X more secure than fingerprint and can work on any smart device with a camera. Show your palm and you are in, easy and secure. Omniscience commercializes US intelligence agency AI and distributed data mining research to connect the dots across large, diverse data sources. ShoCard is a digital identity card platform built on mobile devices and the public blockchain data layer, using public/private key encryption and data hashing to safely store and exchange identity data. CCOBOX brings payments compliance into the fintech era. It is an end-to-end solution featuring an intuitive workflow and a modern whole-team dashboard powered by proprietary machine learning algorithms and interactive analytics. Trunomi revolutionizes data sharing for the financial industry; connecting financial service providers to their customers over a secure consent-based data sharing platform. Dobot (“The Robot for Your Dough”) is the first Mobile Personal Financial Advisor for Millennial. We provide tools, motivation and actionable strategies designed to help our members build their financial foundations and achieve goals they never thought possible. xPressTap has developed a powerfully simple and elegant payment solution to enable consumers to use their NFC phone as a their own personal POS device for use online as well as off. SizeUp is big data for small businesses. It provides business intelligence and market research to SME companies so they can make smarter decisions through data. DeltaBid is a E-Sourcing software to replace ineficent e-mail and excel based procurement methods with an easy to use tool that helps sourcing managers on their job. Using the best tools, available or in development, along with proprietary intellectual property, nuco is creating the framework for blockchain-enabled enterprise infrastructures. Netki is a Los Angeles based financial technology startup. We provide a suite of standards based naming and identity solutions, which allow developers to build blockchain-based applications that are easy to use, highly interoperable, and compliant with existing regulatory requirements. Starting with KYC on blockchain, Tradle is building a global trust provisioning network using distributed ledger technology. Use the blockchain as a global platform to verify any data, file, or business process. Developer tools & API to anchor data in the blockchain. Fluent is an enterprise software platform driving a new paradigm in trade and supply chain finance. Neurensic enables a new global standard for understanding regulatory compliance risk, providing insights impossible for humans to find alone. Quiet Signal provides tradable data. 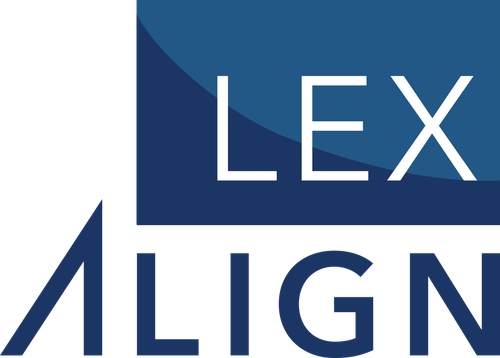 We combine expert knowledge and proprietary text analysis algorithms to provide clear signals to portfolio managers. Flowcast is an advanced analytics startup for trade finance. We build predictive analytics software for financial institutions that dramatically enhance trade financing. The Sun Exchange (SUNEX) applies leading edge financial and solar energy technologies and new world collaborative economics to enable individuals and businesses to harvest sunlight for profit. White-label personalized risk assessment algorithms. Customized asset allocation for each private wealth client. Lenny is a pioneer mobile lender in the US. The app also poses as a credit score education platform through a recent partnership with FICO. Vault is a modern investment platform providing retirement plans for small business. Increased customer acquisition through machine learning. CryptoMove protects enterprise data with dynamic movement, mutation, fragmentation, and re-encryption, on any algorithm, in any environment -- cloud, edge, fog, IoT, or on prem. Secure peer-to-peer mobile transactions on any social and messaging app. We build SaaS tools for financial advisors and wealth management firms to save them time and win more clients. Zumigo leverages mobile network data, such as a user's mobile location and identity, to secure and enable commerce. Accelerate the way businesses transact digitally. Glassbox is next generation enterprise session replay technology used to capture and analyze the full customer experience on both mobile/web channels. Monotto is an automated saving engagement tool for financial institutions. Authomate develops SaaS based authentication software for enterprises and their consumers. Blueprint Income is creating the future pension - a digital way to get guaranteed, lifelong income in retirement regardless of employer or employment status. Paylasso is a platform that allows employees to request instant virtual payment cards for company expenses. 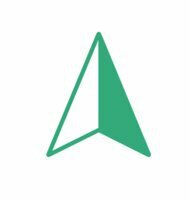 Akouba is a white labeled digital on-boarding and lending platform for regulated financial institutions. Even is the first & only dedicated supply-side platform for online financial services. A messaging platform for retail banks to engage their customers. Flutterwave is the leading provider of technology and infrastructure for processing any method of payment across any channel in over 30 African countries. Neener provides alternative risk assessment and marketing conversions. Understand financial risk through personality and behavior analysis of individuals: lower defaults, increase conversions, expand market. The Trust Fund for Everyone™ - Free will and trust, backed by just the right amount of life insurance. Our Product is a biometric payment terminal that sits on counters in stores and allows shoppers to pay with a simple touches scan of their palm. Blockdaemon aims to be the Heroku of blockchain, providing an automative nodes-as-a-service model, that allows for easy peer-to-peer network management. Based of the Scalr functionality for cloud-computing, blockdaemon can configure nodes across all blockchains, servers and companies within minutes. Bouxtie Inc is a Global Marketplace for the Digital Gift Card inudstry. We help Corporations make their clients feel appreciated and employees feel like superheroes. We accomplish this by replacing plastic gift cards with digital solutions to make recognition personal, instant, and memorable. Capitalise white label solution is an Innovative and revolutionary technology for the investment world that enables traders to receive automatic monitoring and automatic execution of their trading strategies, formulated in Simple Human language, with a back testing and profit enhancement solution. CreditStacks issues premium credit cards to prime, new to credit customers. Our behavioral risk models allow us to identify prime consumers with no financial history in the U.S and issue them a premium credit card as soon as they enter the credit market. We help our customers start and build their financial future in the U.S.
Eltropy is the world's first text-messaging based Sales platform for Banking, Financial Services and Insurance (BFSI) companies. BFSI sales teams using Eltropy leverage SMS, iMessage, WhatsApp, Line, Viber, Facebook Messenger etc. to engage and sell financial products to customers. HEDG is an investment advisory platform bringing digital first customers to our bank partners and investment advisory firms by bridging the gap between robo-advisor platforms and banks' human advisors. Hedgeable’s open and modular API platform accelerates the digitization of investing, savings, insurance, and wealth products for global financial institutions. HEXANIKA's simple, smart & efficient software harnesses Big Data & Machine Learning to automate data ingestion & rules creation for analytics & reporting. The solution improves data quality, keeps regulatory reporting in harmony with the dynamic regulatory requirements & keeps pace with latest regulatory updates. At Income&, we're reinventing the idea of fixed-income investing for the baby-boomer generation. Koyfin is creating a suite of powerful analytical tools for investors who need advanced functionality to research and track financial markets. LifeSite’s secure web and mobile based solutions help individuals, families and “life networks” organize, share, and collaborate on the most important information in their life - anytime, anywhere. MIRACL Secures The People, Apps, And Things Needed To Run A Digital Business. By eliminating outdated security practices, including password databases, and we enable billions of digital transactions. Novo was built to reimagine the way small businesses interact with their banks. Powered by a network of regional banks, Novo extends its banking products directly to Millennial small business owners and startups with a focus on user experience. By combining artificial intelligence technology with traditional depository accounts, Novo is able to offer a personalized banking experience and empower its users with their data. Qanta's technology provides mortgage lenders with an AI-driven agent that automates significant parts of the process, resulting in lower costs with increased customer satisfaction. Qumram creates an indisputable audit trail of all digital activity and interactions (web, social, mobile), that ensures regulatory compliance, aids fraud detection, supports marketing analytics, and enables compliant multi-channel communications. Gartner says Qumram’s truly compliant solution for capturing WhatsApp and WeChat conversations is unique. Responsive upgrades wealth management enterprises to smart organizations using process automation and AI. All-in-one online KYC solution, allowing banks to onboard customers without ever entering a branch. 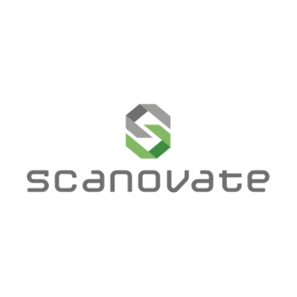 Scanovate is one of only 8 companies worldwide with their own proprietary OCR solutions. True Link's financial services help retirees maximize their independent lifestyle by providing a banking, investment, and insurance platform that puts planning for longevity at its core. 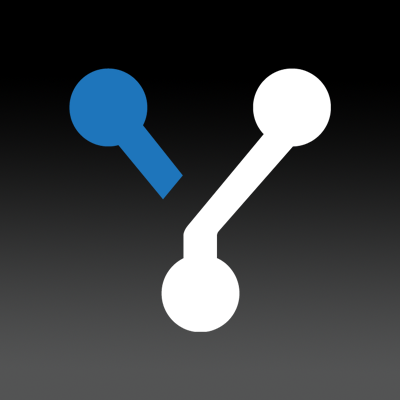 Voleo: The Social Trading App. Because trading together is fun, and your customers will bring their networks to you. The Abe AI platform, Conversate, is a full-stack solution to design, build, deploy, and maintain AI-powered conversations. Alloy is an API & software platform allowing regulated financial institutions to better manage their identity-related requirements, resulting in increased conversion, lower fraud, and lower back-office manual review costs. The Alloy API allows you to customize which data sources you access and the rules you apply to validate an identity (fulfilling KYC/AML obligations, anti-fraud checks, etc. ), and the dashboard lets you update customer records, perform backtests and explore onboarding analytics, and perform manual reviews. Ascent Technologies is a RegTech firm that helps customers simplify and automate their regulatory compliance programs. Its IntaaS (Intelligence-as-a-Service) platform uses a proprietary vertical AI and automation processes to convert the rules and documents of a regulatory body into units of intelligence that are distributed to customers online. Checkbook is solving a major problem of paper checks. We've built a way for businesses and individuals to send and receive Digital Checks, with a few simple clicks. Cignifi’s big data platform provides an end-to-end solution to monetize mobile data for telecom operators, banks, insurers, and other retailers. Clearnomics is the market insights platform for the wealth management industry. At Cognive, we believe in an organization where people think, work, and innovate as one body. Starting from practical solutions in anti-financial crime, our solutions enhance the environment across the entire institution. Eloquent Labs uses Natural Language Processing and Artificial Intelligence to automate conversations / processes in customer service, IT, Fintech, and other verticals. Our powerful AI uncovers unique investment insights on over 15,000 publicly traded global companies so that investors can take advantage of more informed investment decisions. EquBot's AI is now powering more than $130 million in assets. Extend is a platform that enables credit card holders to share their credit card through the distribution of virtual cards. FI.SPAN is an API services management platform that allows banks to integrate and deploy new business banking products and services quickly and easily. ID R&D provides new generation of biometric technology with a focus on frictionless ID. Jacobi is a cloud-based platform designed to drive efficiencies and enhance client engagement for your multi-asset investment team. Seamlessly linking your capital market assumptions, data and portfolios on one customizable platform, Jacobi enables you to run both historical and hypothetical risk/return analytics across your portfolios in a dynamic visual environment. 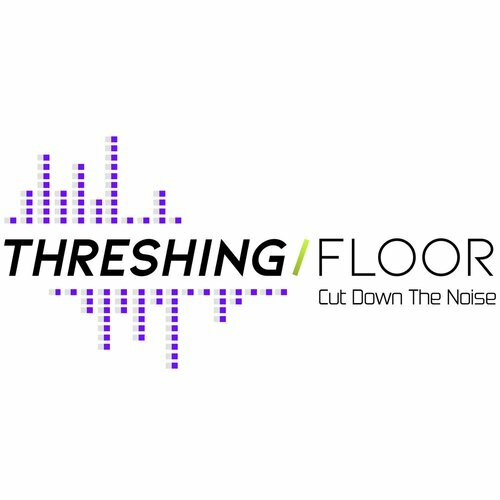 LISNR® is a data-over-audio solution that utilizes near-ultrasonic sound waves and software to transmit customizable streams of data between devices. Moxtra, created by the founders of WebEx, provides an omni-channel customer engagement platform for financial services companies. With Moxtra, banks can deliver a customer-centric, digital branch experience to help attract, engage, and retain today’s banking customers. Ohalo automates data governance to help enterprises be compliant with data governance regulations. OpenRisk is an enterprise platform providing a comprehensive derivatives collateral and liquidity management solution by leveraging Semantic Web (FIBO), AI, and Blockchain technologies - Driving global capital markets transition progressively into a DLT eco-system. The Quarule Artificial Intelligence Expert System emulates the decision-making ability by using knowledge of internal operations, policies & procedures for fewer false positives while exposing audit trails to deliver risk-adjusted returns on investment due to 50-70% compliance cost savings. Regalii is building the new standard for financial data, which connects any financial institution to merchants. Relativity6 was founded at MIT, and is a machine learning company focused on identifying and reactivating lapsed customers. Our proprietary algorithms can predict which lapsed customers will make a re-purchase with at least 80% accuracy rate. We also predict which product/service the lapsed customer is most willing to re-purchase. A universal adapter that helps financial institutions quickly and safely work with software from fintech startups. 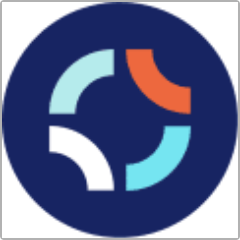 Stackfolio is the online marketplace for loan trading between financial institutions, powered by a data research platform. Trust Stamp uses proprietary facial biometric artificial intelligence with proof of life matched to government-issued photo-ID and social media data mining to provide cross-platform authentication and trust scores for blockchain, cloud, and server-based applications. Verrency turns Open Banking on its head and puts banks back at the center of their customer’s payment touchpoints by enabling them to deliver payments innovation quickly and easily without replacing their existing payments infrastructure. Wisor is helping loan officers and mortgage brokers to close more deals and reduce the cost of handling leads. Zenplace uses innovative technology, data-driven insights, and experienced professionals to provide industry-leading full service property management services. Our award-winning property management services generate higher returns, lower costs, and provide peace of mind to property owners using our innovative approach, service, and next-generation technology. Complete spend and vendor management with B2B payments domestically and internationally. Incubated by UBS, Align17 is a marketplace that provides private wealth investors exclusive access to institutional-quality impact-investing opportunities vetted by trusted third parties. 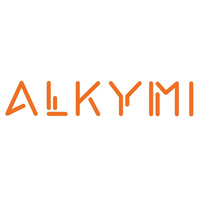 Alkymi turns documents into data to help capital markets automate, understand risk, and make better decisions. We automate B2B credit programs for suppliers and their business buyers who pay on terms. We use AI to give business owners guidance on financing. Cryptoasset and blockchain risk mitigation. BotDoc is the 'Secure FedEx of Data', making the secure transport of documents and data ridiculously easy. No logins, pins/passwords, apps or interface issues with cloud storage services. Over time as security has increased (and continues to increase), convenience factors have decreased. Like a child's seesaw, one goes up the other goes down. BotDoc broke the seesaw. We believe that “getting answers at work should be as easy as chatting with a friend” and created Aristotle, your personal AI analyst for business intelligence. 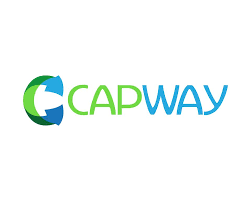 CapWay is a mobile-first platform that provides financial content and services to financially underserved millennials who lack the opportunity and access to traditional banking and services. 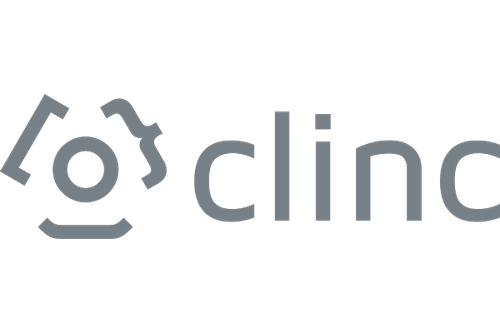 Clinc redefines customer experiences by leveraging conversational A.I. 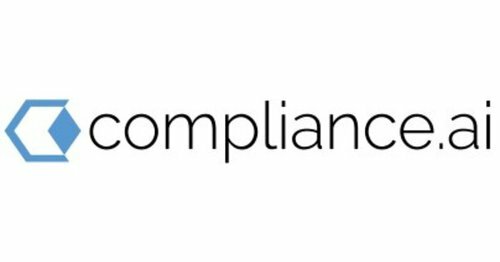 Providing Actionable Regulatory Intelligence for financial services compliance professionals. Difitek is an enterprise fintech company. It provides a modular, API-first back office platform for digital finance applications. Grove's mission is to make financial planning honest and accessible. 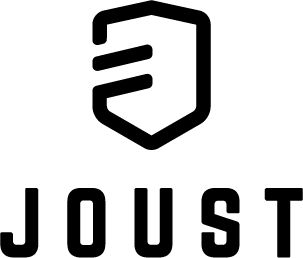 Joust is an all-inclusive mobile banking toolkit for freelancers and entrepreneurs. 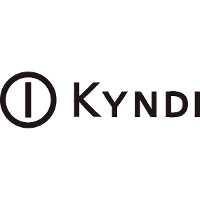 Kyndi is an Explainable Artificial Intelligence company. Loyyal is the industry-leading blockchain platform for incentive management. We are built to incentivize any behavior, action, or event. The only limitation is imagination. Mortgage Ready is designed to help mortgage lenders close more loans by turning denied applicants into approvals and sub-prime borrowers into prime rate refinances. Through our software, applicants link their bank accounts and credit profile. We then analyze applicants’ financial data to generate automated, comprehensive financial advice. 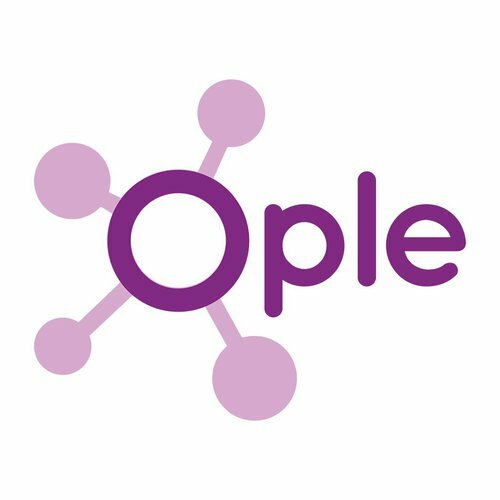 Ople uses advanced machine learning to automate and optimize Data Science processes, accelerating the delivery of new, more accurate models from months to minutes. With Ople, business executives will gain first movers advantage on new opportunities, team leaders will deliver faster, more accurate results, and, Data Scientists will now be able to focus on actual business objectives, not just workflow. Student loan assistance as a benefit. Proximity authentication for the Internet of Things. Stratyfy empowers business leaders with a decision management system that improves predictive accuracy without sacrificing flexibility or transparency, enabling safe and profitable growth. We enable cybersecurity teams to overcome information paralysis by helping them focus on alerts that are critical, and to ignore ones that are not. VRAY is a SaaS company that developed omni-channel payment platform that can integrate into existing payment processors. Accern aggregates, filters, analyzes, and delivers data solution to solve enterprise research inefficiency. Aigo delivers Highly Intelligent & Hyper-Personalized Conversational Assistants @Scale for enterprises. Don’t work harder. Work smarter. AlphaSense is an AI-powered business insights platform that helps the largest and most agile organizations make better strategic decisions and gain a competitive edge. Autobooks is the first fully integrated payments & accounting platform for business, delivered through online banking. ClickSWITCH is a direct deposit and automated payment switching solution, transferring payments from an existing account to a new account. Powered by our patented persona intelligence-based decisioning platform, we enable next generation risk services. 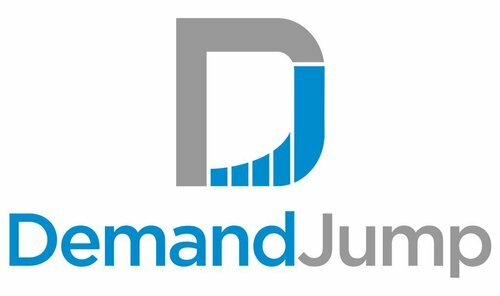 The DemandJump Traffic Cloud® shows our customer how to outmaneuver their competition and double marketing performance. More efficiently acquire customers - grow revenue and eliminate wasted spend. Digs is an educational savings product built for first-time homebuyers. 100% automatic mileage and expense tracking. Glia powers customer communication for the Financial Services industry in one seamless OmniChannel platform. An automated solution for ongoing third-party compliance monitoring, assessment, and support at scale. 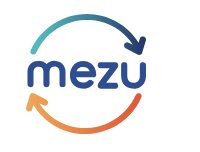 Mezu is the first mobile payment app that allows you to keep your identity private and your spending habits anonymous. nsKnox Technologies is a Fintech-Security company that provides revolutionary solutions in the ground-breaking field of Cooperative Cyber Security (CCS) based on a whole new approach for protecting corporate payment systems against insider threats, external fraud, and data manipulation attempts. The solution for automating document review workflows with 99+% accuracy. Promethium is the first and only data context solution built to enable both powerful analytics with prudent data governance for the modern age. Pryon is an artificial intelligence and machine learning company, developing a platform providing the accuracy and security features necessary for enterprises. Ultimate protection from known and unknown file-based malware threats, using patented Content Disarm and Reconstruction (CDR) technology. Sila is a simple, secure, and accessible suite of developer tools for building financial applications. Transparent SMB Equipment Financing at the Point-of-Sale. 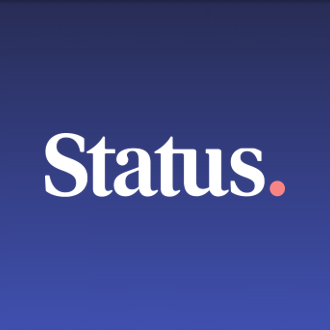 Status shows people how their finances compare with their peers and gives them cash rewards for engaging with targeted offers. Symend helps enterprise companies better reach, engage, treat and retain their at-risk customers, for more productive and cost efficient recoveries. SaaS + vendor for Financial institutions in automating processes. ZestFinance is committed to making fair and transparent credit available to everyone. Los Angeles, California, United States. Sparkling Logic is the next generation prescriptive analytics platform for solving complex and fast changing problems like fraud and personalization. We provide you automated and comprehen- sive financial planning and investment advice based on your goals and resources. CUneXus Solutions Inc. develops innovative software-based solutions to aid credit unions and banks in maximizing the potential of valuable customer rela- tionships. TrustingSocial provides consumer credit score based on social, web and mobile data. TrustLeaf is an online platform that enables early-stage entrepreneurs to crowdfund their ventures through friends and family. Epiphyte develops enterprise software allow- ing banks and other financial institutions to securely in- tegrate with the Bitcoin and crypto-finance industry. Bitwage makes it easy for employers to pay their employees all or part of their salary in bitcoin.